February is Children’s Dental Health Month, and dentists are focused on raising awareness on healthy oral habits for kids. Kids need encouragement to follow healthy habits, so it’s important to remind them of the simple guidelines they can follow to prevent cavities now and maintain healthy teeth for life. This is an easier way for kids to remember how often to brush their teeth and for how long. Brushing for two minutes at a time, twice per day will become a habit they can stick to, and eventually, it should become automatic. They can count to 120 while they brush their teeth, so they can make a game out of it instead of viewing it as a task. But many children’s toothbrushes now come with timers that beep or vibrate when two minutes is up, so this is another option for them. Tap water often contains fluoride, which protects against cavities. Kids already brush with tap water, but encouraging them to drink tap water instead of sodas or sugary drinks will promote strong, shiny teeth. Instead of reaching for sugary granola bars or candy, it’s important for kids to eat fruits and vegetables at snack time. Keep sugary drinks and snacks out of reach, and offer them only as an occasional treat after dinner. 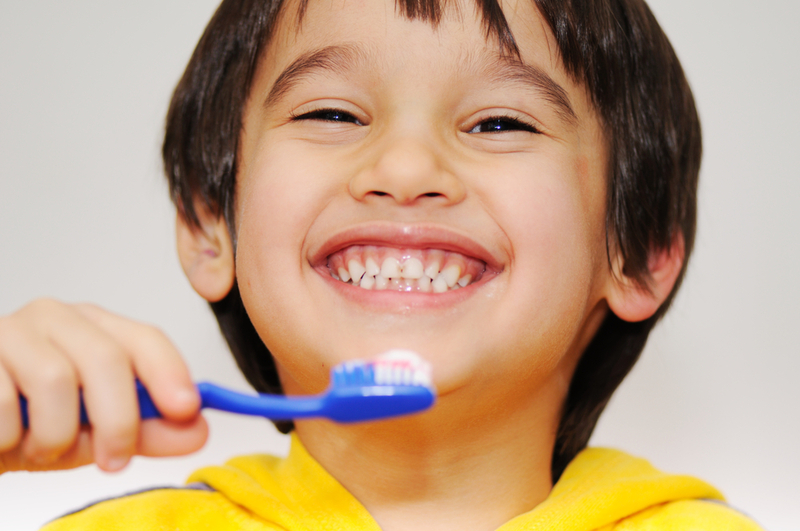 Kids are more likely to develop healthy oral habits if they have a limited, clear set of rules to follow. Remembering these three tips will not only teach kids to take care of their teeth but to look after their overall health as well. At Buhite & Buhite, DDS, in Rochester, NY, experienced dentists and orthodontists are committed to the oral health of you and your family. Call (585) 342-1323 to schedule an appointment, and like them on Facebook for social media updates.